The future has come fast with inflatable games. 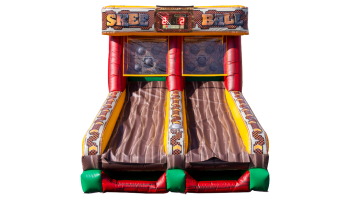 We now offer the new version of the old time classic skee ball. 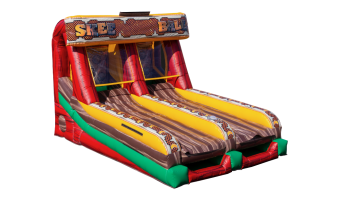 Our Inflatable Galactic Skee Ball Game rental will challenge your skills and now adds a faster pace to the all time classic skee ball game. 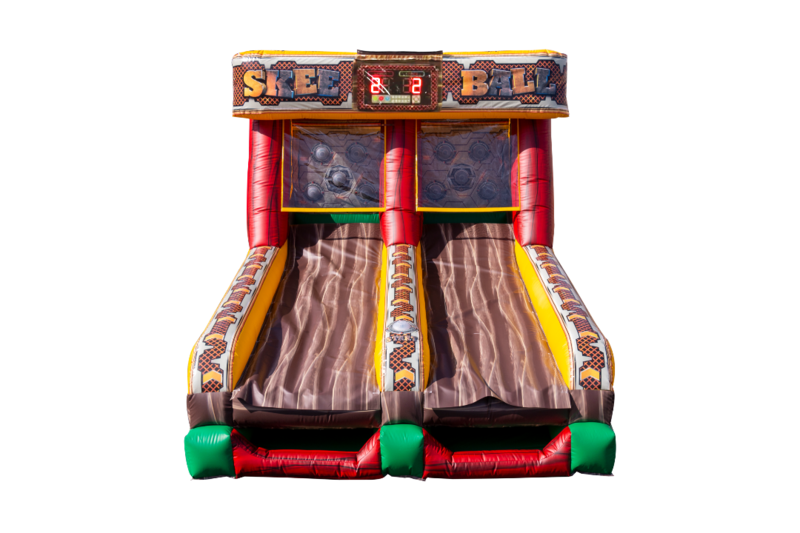 The object of the inflatable skee ball game is to roll your balls up the lane and hit the illuminated light that is glowing. Every time you hit the light our electronic scoring system adds up your hits. The game last 45 seconds and the winner of the bout is announced at the end of the game. This can be a one player game but it is so much more exciting playing against a competitior. 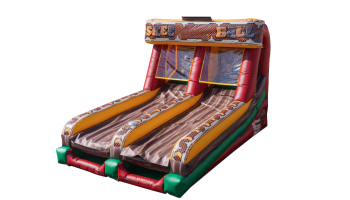 In addition to the Inflatable Galactic Skee Ball Game, we now have a variety of other games that use interactive play systems. Please call our office and our friendly staff can walk you through all the interactive games we offer. 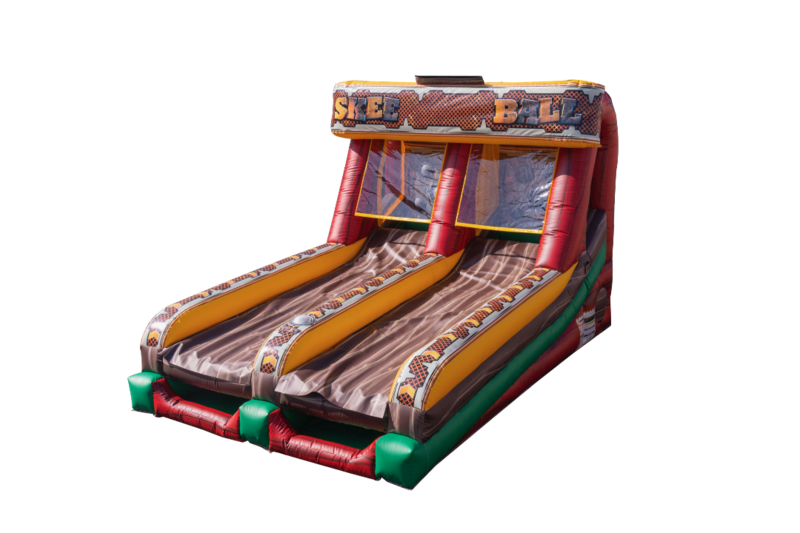 Inflatables aren’t just for kids anymore. Adults love them too. We deliver all our interactive games to the entire San Francisco, San Jose, Oakland, Bay Area cities. 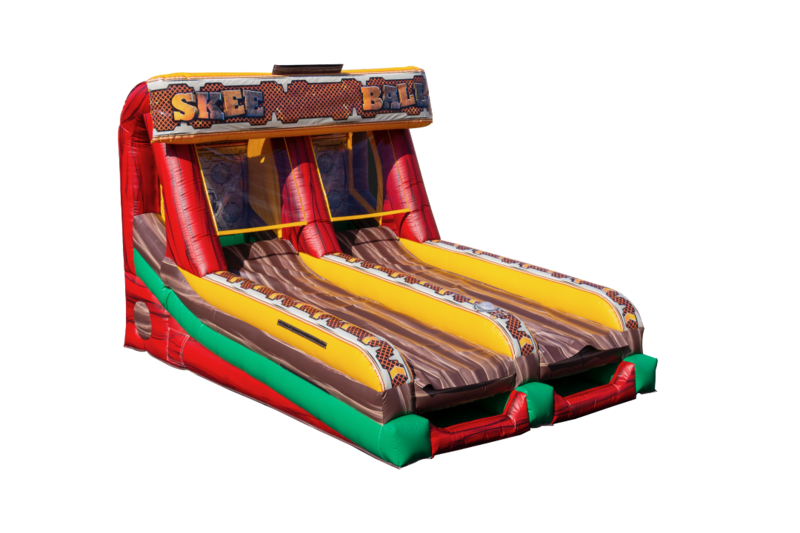 Watch a video of the Inflatable Galactic Skee Ball Game in action!